Move over, Amsterdam, because your days as the most progressive location for cannabis use are becoming a thing of the distant past. As we enter a new year, the future of the legal cannabis industry has never been brighter. A number of key events occurred during 2018 that served to pave the way for progressive reform of laws around cannabis in 2019. Now more than ever, public opinion about the plant is shifting—not just in America, but worldwide. Many cannabis industry insiders agree that federal government recognition of the booming cannabis market in the United States is not far off and the validity of the revenue potential is impossible to ignore for much longer. An increasing number of huge industries besides pharmaceutical companies are taking a long, hard look at cannabis and planning ways to profit from it. Both big alcohol and big tobacco made bold moves during 2018 that reflect their obvious intentions to profit from legal cannabis. Let’s take a look back at some of the cannabis milestones that occurred and why full legalization may not be far off. North America has seen sweeping cannabis legalization during 2018—including the full legalization of cannabis nationwide in Canada, which went into effect in October 2018. A month later, in the United States, last November’s elections had cannabis on the ballot in four states: Michigan, Missouri, North Dakota, and Michigan. North Dakota and Michigan residents were voting about passing recreational cannabis, while Missouri and Utah voted about allowing medical cannabis. North Dakota had an ambitious program planned for its recreational laws, and North Dakotans decided to pass on allowing recreational cannabis in their state—at least for now. The remaining three states, however, now have legal cannabis in various capacities. Let’s take a look at how new laws around cannabis in 2019 will impact the new legal states. In the U.S., cannabis has become legal in some form in the majority of states. Colorado, Washington, California, Oregon, Nevada, Massachusetts, Vermont, Maine, Michigan, and Alaska, as well as the District of Columbia, now allow the recreational use of cannabis for adults 21 years of age and older. Medical cannabis programs are also in place. Montana, Arizona, Utah, North Dakota, Minnesota, Oklahoma, Missouri, Illinois, Arkansas, Louisiana, Florida, Ohio, West Virginia, Pennsylvania, New York, Maryland, Delaware, New Hampshire, New Jersey, Connecticut, and Rhode Island allow the use of medical cannabis in various capacities. Each year, the remaining prohibition states—that have become a minority—consider implementing their own laws regarding cannabis. An increase in the legal status of cannabis in other states seems inevitable, but which states those will be—and when—remains to be seen. Other countries made moves to legalize cannabis for medical purposes—and some of them are surprising. The traditionally conservative Asian countries of South Korea and Thailand made moved to legalize medical cannabis. Although somewhat restrictive compared to laws in other countries, the changing legal status of cannabis in Asia is just indicative of a tidal shift in public perceptions worldwide about cannabis in 2019. As well as cannabis reform occurring in surprising places, sometimes it occurs where you would most expect it. In the Caribbean—home to Jamaica, reggae music, and potent cannabis —various islands are shifting their policies about cannabis and decriminalizing it, if not outright legalizing it. Some islands see the economic potential and the ability to use cannabis for social change and progress. St. Vincent and the Grenadines definitely are preparing for increased involvement in the cannabis space. During mid-November of 2018, a government official to the island states went on the record when he announced upcoming plans to make the region a prime growing location for organically certified medicinal cannabis. Plans are so ambitious that the Caribbean could become one of the largest cannabis producers in the Western Hemisphere. Cannabis is a hot topic on the islands of Trinidad and Tobago as well. Opposition Member of Parliament Barataria Dr. Fuad Khan is an advocate for the legalization of cannabis on the islands. He believes Trinidad and Tobago should begin the process of legalizing medical cannabis. Although he has met with weakening resistance, progress is being made. A monumental cannabis industry milestone was reached on December 20, when President Trump signed the USDA 2018 Farm Bill, which removed industrial hemp from the Controlled Substances Act’s Schedule 1 status, allowing untold opportunities for a lucrative hemp industry that includes a CBD market. Some industry professionals believe this is the biggest event to occur in the history of legal cannabis. Under its current definition, “hemp” is classified for the industrial version of cannabis that contains less than 0.3 percent THC. This is a minute amount when you consider that popular cannabis strains commonly contain 15-20 percent THC—with some of the more potent strains commonly testing in the 30- and even 40-percent range. However, while it doesn’t contain very much THC, hemp does contain fairly high levels of CBD—which along with THC has huge potential for medical use and dietary supplements. Largely due to increased legalization and shifting public opinions about cannabis use, Wall Street has seen encouraging growth in the cannabis stock market. 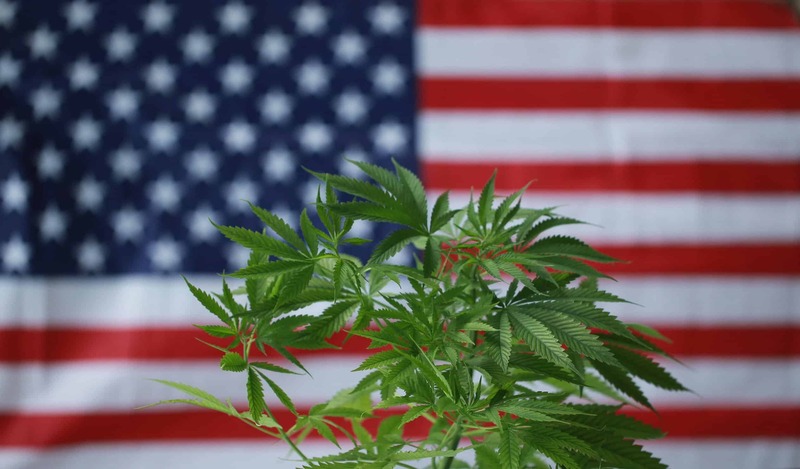 As the strong push for legal cannabis continues, showing an increasing amount of bipartisan support among politicians, some speculate that the federal government will address cannabis within the next few years. Investment opportunities are at an all-time high as the country waits to tap into a market that some financial analysts believe will be worth $50 billion by 2026. With big things apparently on the horizon for the cannabis industry, U.S. investors are seeing dollar signs, too. Somewhat surprising, former Speaker of the House John Boehner is actively promoting cannabis investments. The republican politician’s strong endorsement of cannabis has some members of his party surprised. In April 2018, Boehner aligned himself with global cannabis company Acreage Holdings and became a member of its advisory board. His active involvement and promotion of legal cannabis in 2019 has piqued the interest of numerous investors. An October Forbes article details Boehner’s deep involvement with promoting cannabis stocks and his affiliation with the American Cannabis Summit, an investor conference backed by the National Institute of Cannabis Investors. In early January of 2019, Oregon Democrat Earl Blumenauer introduced House Bill 420, a clear nod to cannabis culture, since the number 420 has become synonymous with cannabis. Among other things, H.R. Bill 420 could remove high-potency cannabis from its current Schedule 1 listing and open the door for federal recognition and a more thoroughly regulated industry, with legal states allowed to engage in business with other legal states. If H.R. Bill 420 passes, it may mean the beginning of the end of cannabis prohibition. The U.S. already knows that liquor prohibition didn’t work and just led to a spike in crime. Adopting a similar view about cannabis legalization seems the prudent way to address America’s status of the plant. The propaganda about cannabis that was alive and well during past decades is now gone, and the general public knows better and is very capable of forming its own opinions.